Yearlong rebates go far. Yearlong support helps you go farther. And no other purchase program offers industry-leading products with one-on-one service like GreenTrust 365. Purchases must be placed during the Early Order Period from October 1 to December 7, 2016. Below are just a few of the benefits you can expect from an ongoing partnership. Spend at least $5,000 on Qualifying Products during the Early Order Period to lock in a yearlong rebate that lasts from October 1, 2016 to September 30, 2017. Every dollar spent in October earns triple points. Plus, you can earn up to an additional 30,000 GreenTrust Rewards points through the Spotlight Brand Points Bonus and the Acelepryn® insecticide Points Bonus. Order Qualifying Products by December 7, 2016 and keep your cash flow in check by deferring payment until July 6, 2017. Apply intelligently with the right mix of products for almost any facet of your agronomic program. You can save up to 20% from a selection of Pallet Solutions, making it easy to meet your minimum order requirement on Qualifying Products. Save time and maximize your purchasing power with our easy-to-use online calculators. They can help you determine the best product configuration along with your yearlong rebate and GreenTrust Rewards points. The BASF Turf Early Order Program for 2017 includes all of the popular features from last year’s program, such as the 10% discount on all cubes. See what’s new and exciting this year, including the Intrinsic Fairway Rebate, featuring 10% savings on fairway purchase levels of Intrinsic brand fungicides. Your EOP kit features a new program guide, the EOP order form, and the opportunity to save big on our newest, most innovative products. Plan Ahead: Earn up to 33% more rebate dollars by ordering in October when rebate levels are highest. Rebates start with a $2,000 spend. Order early, but pay nothing until June 9, 2017. Order Ahead: Order cube solutions designed for your regional needs, which deliver convenience, innovation and 10% instant savings. 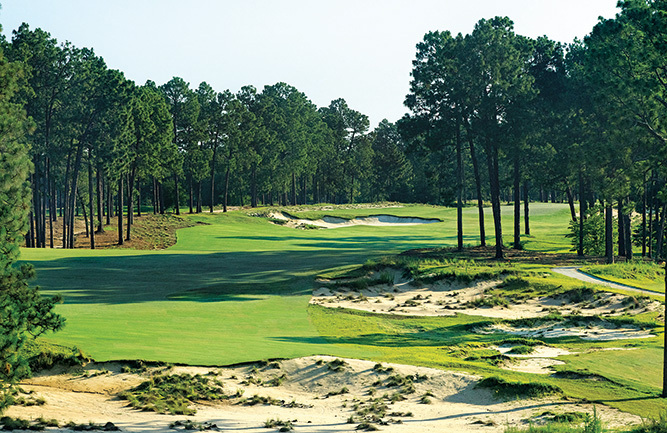 Get Ahead: Save 10% with the Intrinsic Fairway Rebate by purchasing selected quantities of Honor® Intrinsic brand fungicide or Insignia SC Intrinsic brand fungicide. Select the fungicides you need. Choose from industry-leading products like Lexicon® Intrinsic brand fungicide, Xzemplar brand fungicide, Emerald® brand fungicide and Insignia SC Intrinsic brand fungicide. Consider a cube solution. Receive an automatic 10% savings, whatever the size. New cubes include the Fairway Building Block Cube and the Greens Foundation Cube. 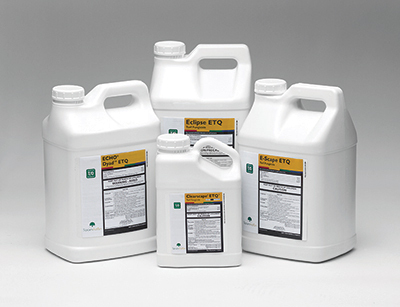 Order powerful herbicide solutions. BASF solutions like Drive® XLR8 herbicide, Pylex® herbicide or FreeHand® 1.75G herbicide provide highly effective weed control. The new Naturalized Area Cube is specifically designed to address this key issue. Environmental Science, a business unit of the Crop Science division of Bayer, is launching the 2016 Bayer Fall Solutions Program, offering early order incentives for golf course superintendents moving into 2017. Fall Solutions opens October 1, 2016 and extends through December 9, 2016. The flexible program allows participants to save on individual products or product bundles to maximize savings per acre. 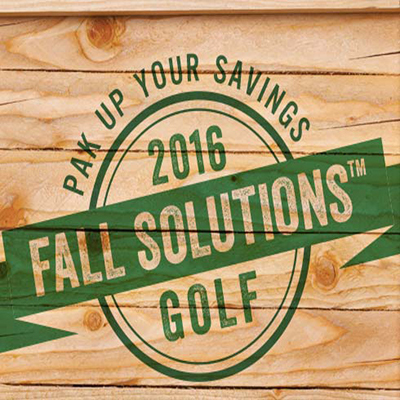 Premier offers within the 2016 Bayer Fall Solutions program give superintendents the opportunity to save up to 26% on PAKs with a large selection of individual solutions and product bundles geared to suit specific turf needs. You can earn a 1% bonus rebate on your entire purchase when you buy any PAK and an additional 1% bonus if you buy between October 1 and October 31. Solutions products purchased through September 30, 2017. To participate in Fall Solutions, superintendents must be a member of My Bayer Rewards. Get next season started off with Quali-Pro’s End User Early Order Program. Qualify and purchase any of the qualifying products and you will receive the listed dollar amount in the form of a VISA gift card, check or distributor credit. Some conditions and restrictions apply. To see a list of all qualifying products or to download a redemption form, click here. Buy 3 cases of 1 gallon, get a $25 REBATE! Buy 5 cases of 1 gallon, get a $50 REBATE! Buy 2 cases of 2.5 gallon, get a $25 REBATE! Buy 5 cases of 2.5 gallon, get a $75 REBATE! 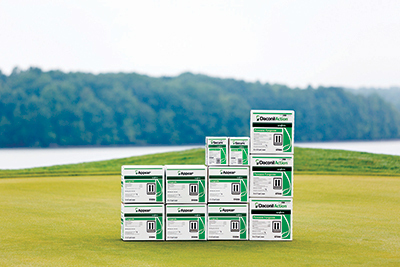 Enclave – broad spectrum fungicide with Quad-Control Technology for turfgrass and ornamentals. Buy 2 cases of 2.5 gallon, get a $50 REBATE! Buy 5 cases of 2.5 gallon, get a $175 REBATE! Nimitz Pro G – delivers quick knock down of fire ants, mole crickets, nuisance ants, fleas, and ticks while providing long residual activity. Buy 2 pails of 40 pound, get a $75 REBATE! Buy 6 pails of 40 pound, get a $300 REBATE! Strobe 2L – broad-spectrum, liquid azoxystrobin fungicide with protectant, curative, eradicant and systemic properties. Buy 2 cases of 1 gallon, get a $100 REBATE! Buy 5 cases of 1 gallon, get a $300 REBATE! Strobe 50WG – broad-spectrum, wettable granule azoxystrobin fungicide with protectant, curative, eradicant and systemic properties. Buy 2 cases of 6 pound, get a $150 REBATE! Buy 5 cases of 6 pound, get a $450 REBATE! Buy 2 cases of 1 pound, get a $75 REBATE! Buy 5 cases of 1 pound, get $250 REBATE! Taurus Trio G – delivers quick knock down of fire ants, mole crickets, nuisance ants, fleas, and ticks while providing long residual activity. Buy 6 bags of 30 pound, get a $50 REBATE! Buy 18 bags of 30 pound, get a $200 REBATE! Now is the time to earn significant savings and benefit from extended terms on many of FMC’s most popular turf and ornamental products! The FMC 2016 Early Order Program runs from October 1, 2016 through December 16, 2016, allowing participants to purchase products at current pricing but defer payment for select qualifying FMC products until June 23, 2017*. The month of October offers qualifying participants the biggest rebates on many of FMC’s herbicides, fungicides and insecticides. 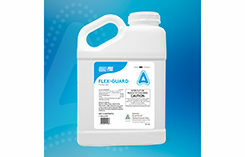 Popular FMC products included in the program are the Fame Fungicides — including Fame SC Fungicide, Fame +C Fungicide and Fame +T Fungicide — as well as Xonerate Herbicide, Dismiss Herbicide, Dismiss®South Herbicide, Dismiss CA Herbicide, Blindside Herbicide, Echelon Herbicide, Solitare Herbicide and QuickSilver Herbicide. Participating professionals must earn a rebate minimum of $200 on FMC Early Order Program products to qualify for the program. Turf Professionals who participated in the September Spotlight on Fame promotion automatically qualify for the 2016 EOP Program. After purchasing, simply submit a rebate form online at www.fmceop.com no later than January 31, 2017. * Prices and terms for qualifying FMC Agency Products are determined by FMC. 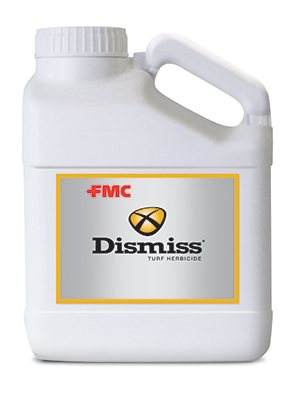 Invoiced prices and terms for qualifying FMC Distributor Products are determined by the FMC Authorized Distributor. Always read and follow label directions. FMC, Fame, Blindside, Dismiss, Dismiss CA, Dismiss South, Echelon, QuickSilver, Solitare, Talstar and Triple Crown are trademarks of FMC Corporation or an affiliate. Aria is a trademark of Ishihara Sangyo Kaisha, Ltd. Xonerate is a registered trademark of Arysta LifeScience North America, LLC. © 2016 FMC Corporation. All rights reserved. Triple Crown Golf Insecticide and Talstar Select Insecticide are Restricted Use Products. Growing a better tomorrow is even more rewarding with the 2017 Nufarm End User Rewards program. With a complete portfolio of premium turf and landscape plant protection products, we’ll help you grow quality turf and healthy profits. And with our early order rewards, you’ll grow better even faster. Qualify by February 1, 2017 to earn big rewards in the form of distributor credits or qualify by October 28, 2016 for even bigger rewards. 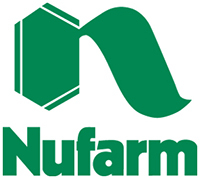 Register at NufarmRewards.com or contact your authorized Nufarm distributor for a list of eligible products and programs. Online registration is required to receive rewards. Great turf is just the beginning. Golf course superintendents can also earn valuable rewards and product discounts with SipcamRotam’s 2017 ETQ Early Order Program. ⦁ EOP and Pallet Pricing Discounts will be applied at the time of sale.